When it comes to counting calories or trying to support a healthy lifestyle, I do believe snacks are what get me. It never fails when the afternoon slump hits and I’m tired and hungry; I head to the pantry only to make a not so great decision for what I decide to “fuel” myself with. It’s easy to grab a cookie. It’s better to grab a veggie wrap. There are several reasons why I choose something like a cookie over a delicious, energizing and healthy veggie wrap; one of those reasons being convenience. 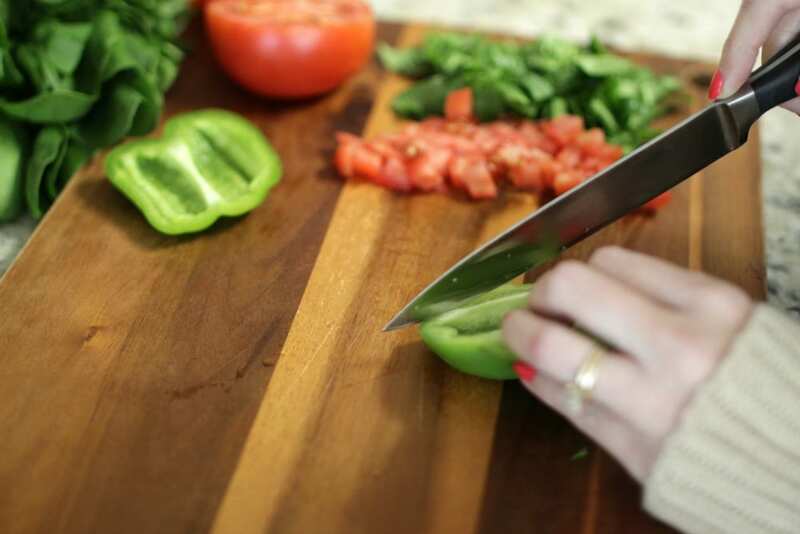 I usually want something fast and the last thing I feel like doing is chopping up vegetables. Am I right? But I have solution! 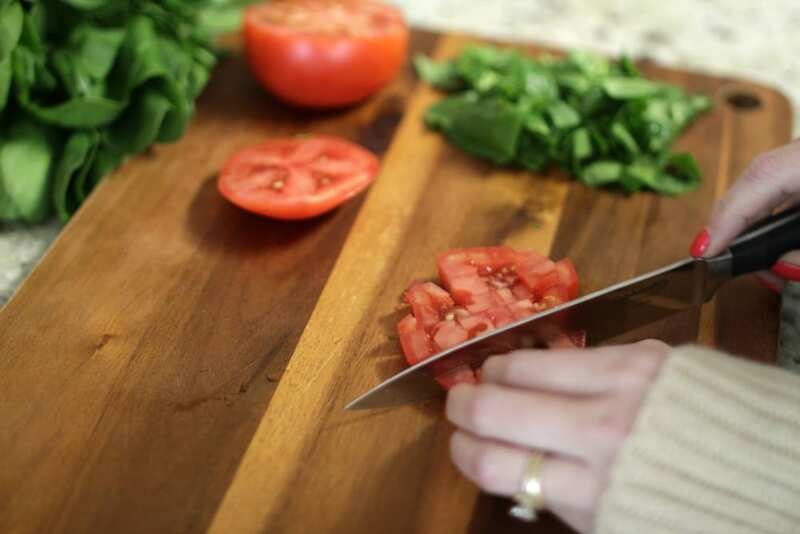 Keep an assortment of veggies washed, chopped, sliced and ready to go. When I do this, everyone (including the kids) will choose to eat more vegetables. On a good week, I have a container of carrots, celery and red or green bell peppers already prepped and waiting in the refrigerator. When we run out, the bad snacking habits come back with a vengeance. I’ll actually have my family ask me if I can buy some more veggies and prep them, so they have that as a snack choice. If you want to start eating healthier, make it easier on yourself to do so! Don’t purchase the snacks you know are bad for you and have prepared the ones that are good for you. 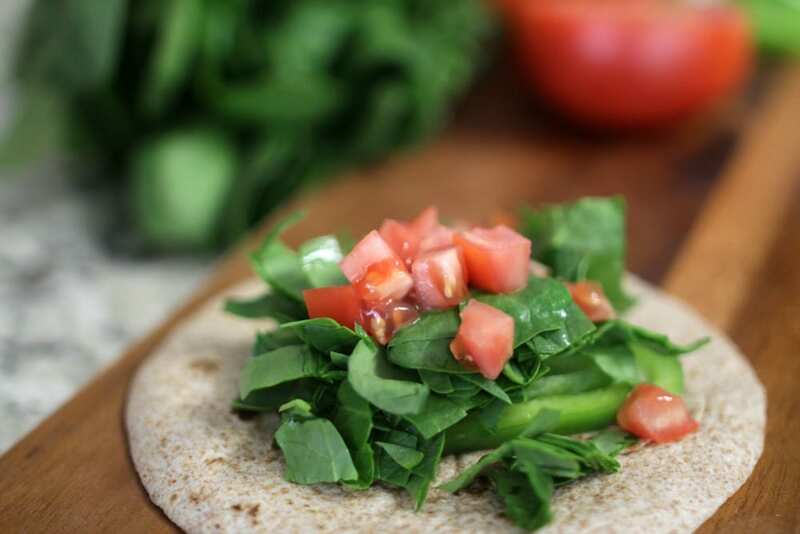 This veggie wrap has so many amazing flavors going on and you’ll feel like a million bucks after choosing to have this as a snack. It only takes 10 minutes to prepare, unless you have your veggies all ready to go and then it’s more like 5. Step one: Wash spinach, tomato and bell pepper. Step two: Chop spinach, tomato; cut bell pepper into thin slices. Step three: Arrange vegetables in the center of a wheat tortilla. 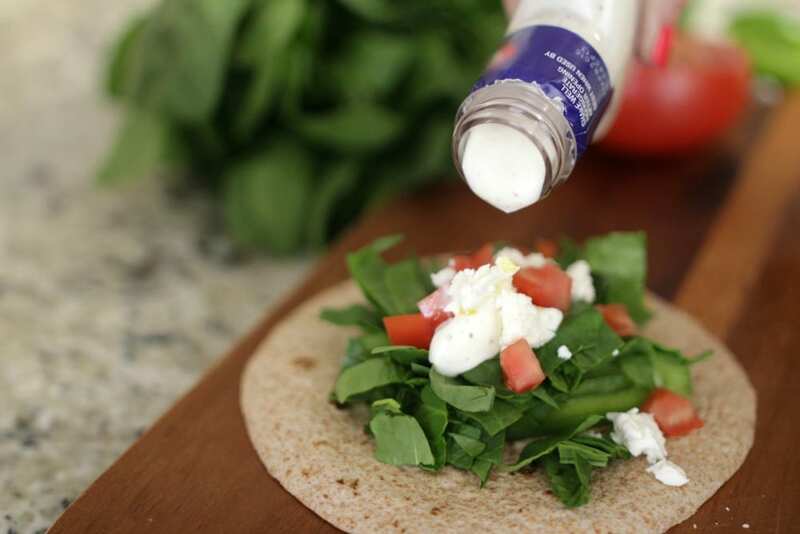 Step four: Sprinkle with feta cheese and drizzle with dressing and olive oil. Step five: Fold two opposite sides of tortilla in towards the center and roll up from one of the remaining ends. Step six: Enjoy your veggie wrap with a glass of cold milk. Doesn’t that look great?! With so many colors and flavors this is a fantastic choice for a snack. It will fuel you for the rest of the afternoon, helping you to tackle whatever lies ahead. 1. Wash spinach, tomato and bell pepper. 2. 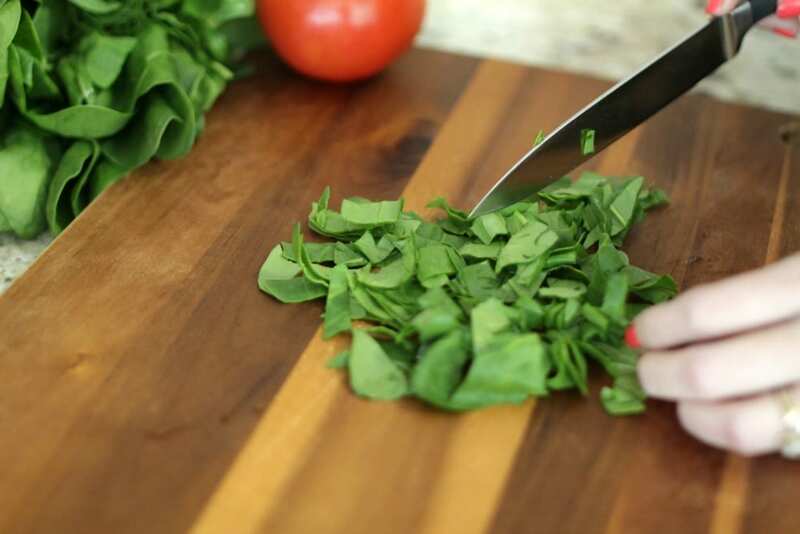 Chop spinach and tomato; cut bell pepper into thin slices. 3. 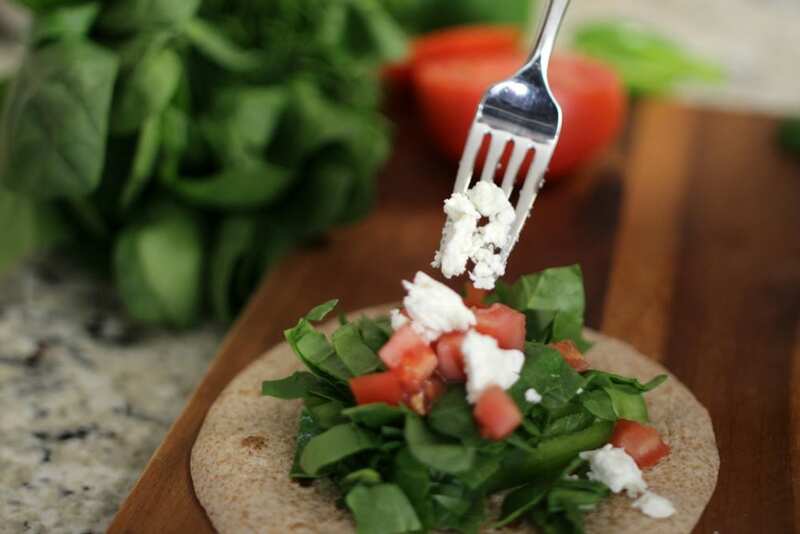 Arrange vegetables in the center of the wheat tortilla. 4. 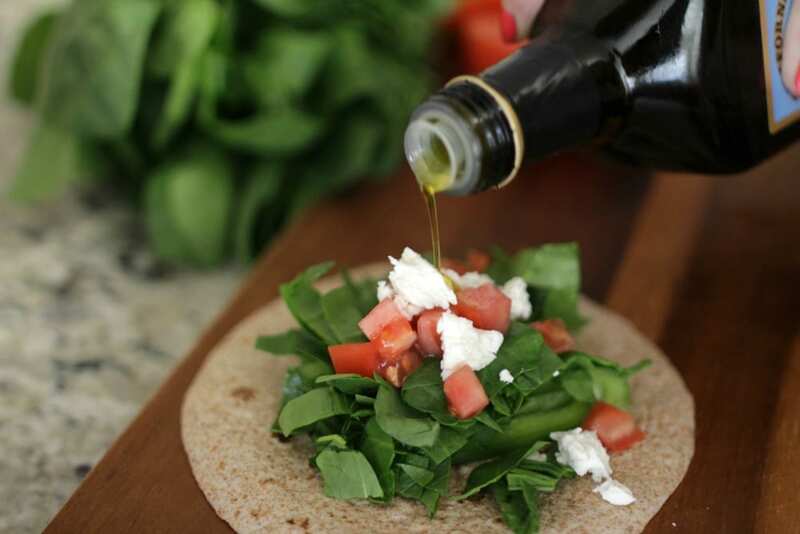 Sprinkle with feta cheese and drizzle with dressing and olive oil. 5. Fold two opposite sides of tortilla in towards the center, and roll up from one of the remaining ends. 6. 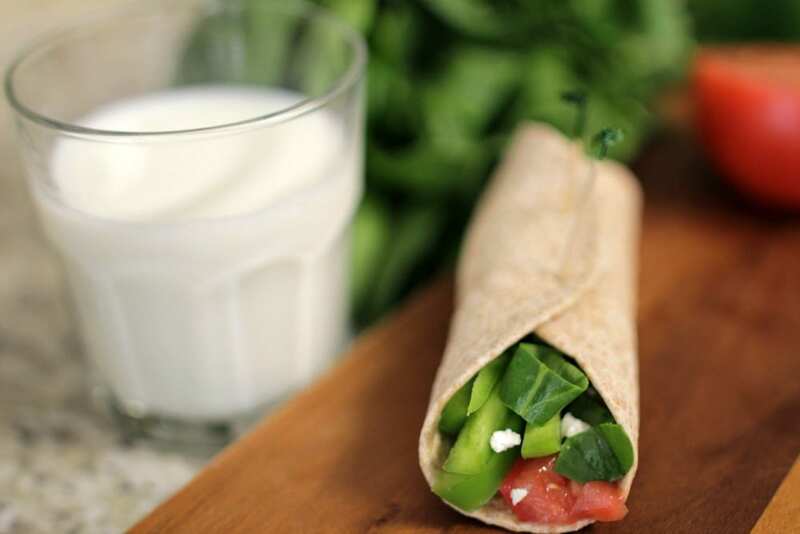 Enjoy wrap with a glass of cold milk. For more great recipes, check out MyAlli.com. Nutrition facts are estimates only.